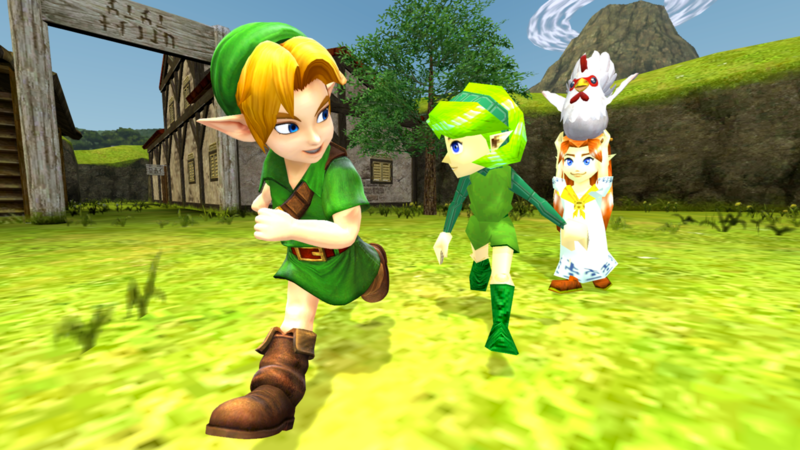 Daily Debate: If You Had To Pick Who You Liked Better, Would It Be Saria or Malon? Ocarina of Time had a lot of fun characters. Take Talon for example. He’s an obvious reference to Mario who you have to wake up with a roaring cucco when first meeting him. Between his hilarious shocked noises and his offering of his daughter as a potential date for Link as a joke, Talon is just plain fun. With this in mind, we want to pit two of the more beloved characters from Ocarina against one another. Unlike the Cave of Trials however, this isn’t about polling. This is all about your reasonings. We want to know exactly why these characters stole your favoritism. Is it Saria’s deep and bittersweet relationship with Link? What about helping save Malon’s ranch from Ganondorf’s machinations? Each of these characters have fairly extensive interactions with Link and there are many things to consider. So let us know what you think in the comments below! Who’s your favorite character of these two? Malon? Or Saria?